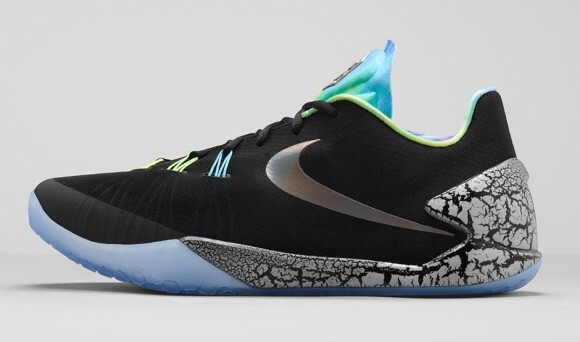 The unofficial signature sneaker for Houston Rockets Guard James Harden in the Nike HyperChase, is available soon in the ‘All-Star/ Zoom City’ colorway. The sneaker features Harden’s new logo on the tongue. For the official look and details of the HyperChase, check out this article. 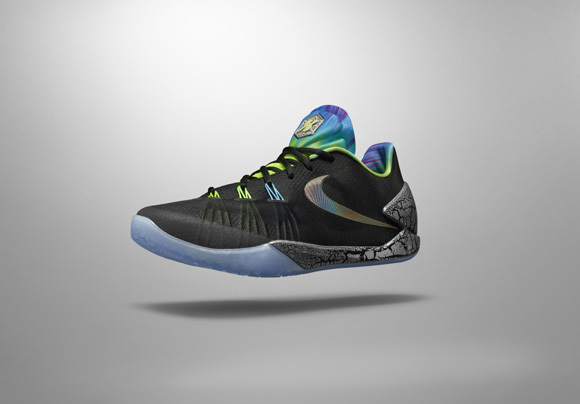 I’m a bit skeptical because I took a gamble on the Kyrie I and they were so so. It’s really puzzling for Nike to not put out the tech specifics before launch. 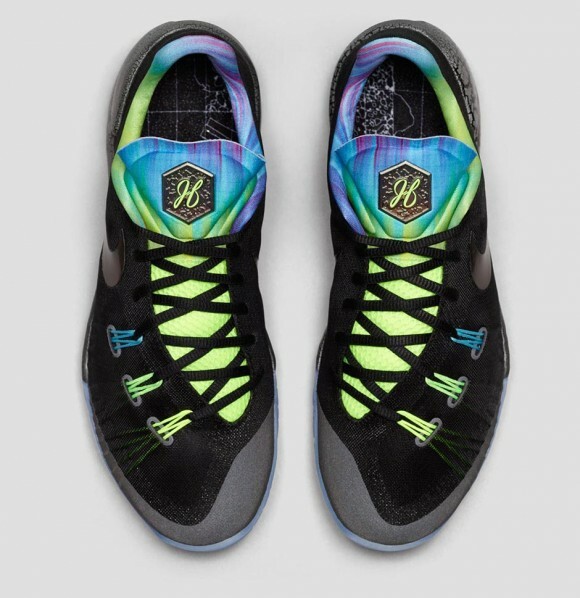 I’ll pull out the midsole and look closely when I go get my KD 7 Florals in the AM. 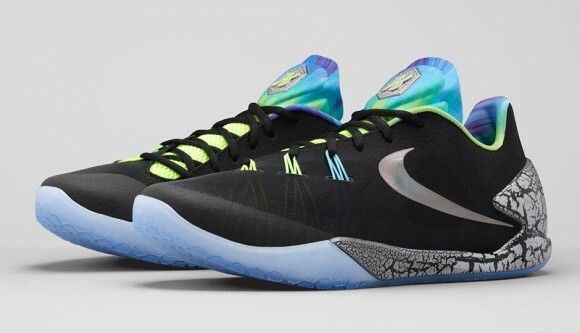 I think these are the best ASG shoes along with the Curry 1″Dark Matter”. But I’m also curious about the cushioning. I was thinking about the florals as well but, not sure. The Curry 1 ASG was another pair I was looking into and I forgot about that. I said I’d get 3 shoes this weekend for the limit and that means I need to drop one. Those KD 7 Florals are the dopest EXT models of his line this year. Pierre M I’d pause on those Lillard 1s. NW said the forefoot fit is really sloppy on IG. 3 is my limit as well. I was considering the D Rose 5 “Brenda” colorway with that woven upper. I like the shoe, but I really want to see it in someone’s hands.You know, get a more real perspective, not just images. I’m surprised that I can’t find any videos on this shoe! It would be quite ironic to call these all star shoes “zoom city” if it ain’t got any zoom in it!! These sold out quickly but, I managed to get a pair. Go in store, there were plenty and I heard the clerk telling people over the phone they still had stock at my House of Hoops. So I took the midsole out to see if there was writing on the foam, but there isn’t and I’m not experienced enough to determine by feeling it. The good news is that the Kobe 9 midsole is just a couple mm thicker and fits great in them if you wanted to swap them out. I literally have them on feet with the midsole swapped now. I’m about to head out to my 24 and give them a run. The ventilation looks like they’re going to be great. There’s a neoprene inner bootie, but the shoe is so minimal that you can see where they will breathe great! I just need this traction to be the business. So the cushioning is that minimal? I picked up a pair and the cushion isnt minimal but it isnt lunarlon. I never had a doubt that they wouldn’t be minimal. I only played an hour and a half in them. The traction is better than average, but these are nothing to fly around in. I felt almost every bit of the court in the forefoot and that’s not a good thing for a player like myself. They”re a shade thicker in cushion over the OG CrazyQuicks and those wete LOW! They fit really good though. Wow you played in them already, that’s some hustle. The Crazyquicks 1 are ok cushioing( for me ) so I guess their OK too. Thank you for the quick performance update! Can you tell me a little more about the traction? How was the court condition? How do you think they would do on dusty courts? 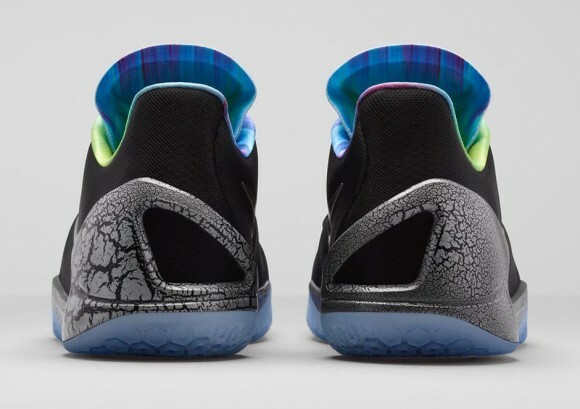 The outsole has that fresh sticky film to it, as do most icy soles. The court I hoop on is 24 hour fitness and it was late in the afternoon with mild dust. I’d guess the traction would drop to average with high amounts of dust. Upon inspection after play, I could see the concentration of long bar areas of dust running across where the forefeet go.